This week marks the 25th anniversary of the Tiananmen Square protests, one of the most controversial events in Chinese history. China doesn’t acknowledge the event, and is known for clamping down on the internet in the run up to the June 4 anniversary — this year it appears to have disrupted multiple Google services in the country. TNW has spoken to China-based users and seen screenshots which show Google Maps, Google’s search engine, Google Translate, Gmail and other services failing to operate in China, in line with a report from GreatFire, an organization that keeps watch of internet censorship in China. GreatFire claims in a blog post that “all Google services” have been disrupted for the past four days, but the issues are more severe today. Google relocated its search engine to Hong Kong from China in 2010, following allegations that the government had hacked into Gmail accounts belonging to prominent activists. Yet, despite its absence, Google services are regularly a target for the government. UPDATE: LinkedIn has acknowledged that censorship requirements have been “recently imposed” on them in China, months after the professional social network set up a joint venture in the country and launched a localized Chinese site. A spokesperson tells us that the censorship is only available within China, which means LinkedIn members in China cannot see restricted content. The statement itself is vague, but hints that anyone who logs in to LinkedIn from within the country — no matter on the localized or main site — won’t be able to view certain content deemed sensitive by the Chinese government. We’ve long recognized that offering a localized version of LinkedIn in China would likely mean adherence to censorship requirements of the Chinese government on Internet platforms. These requirements have just recently been imposed upon us within China. We are strongly in support of freedom of expression. But, as we said at the time of our launch in February, it’s clear to us that in order to create value for our members in China and around the world, we will need to implement the Chinese government’s restrictions on content, when and to the extent required. We will also continue to be transparent about how we conduct business in China and use multiple avenues to notify impacted members within China about our practices. China clamped down on all Google services in the country ahead of and during the Communist Party of China’s 18th Party Congress in November 2012, while Gmail was blocked in March 2011 following the threat of rallies inspired by protests in the Middle East and North Africa. The Tiananmen Square anniversary is a hugely symbolic incident which always draws the attention of Chinese censors. In the run up to the event, restrictions are typically tighter on microblogging services like Weibo, while Foursquare was banned back in 2010 for suspicion around a large number of check-ins at the square itself. There is some reprieve for internet users in China, since GreatFire is offering a version of Google’s search engine that it believes could withstand China’s censorship might. This version is hosted on Amazon servers — you can find it here — and the organization believes it offers hope for beating the censors. 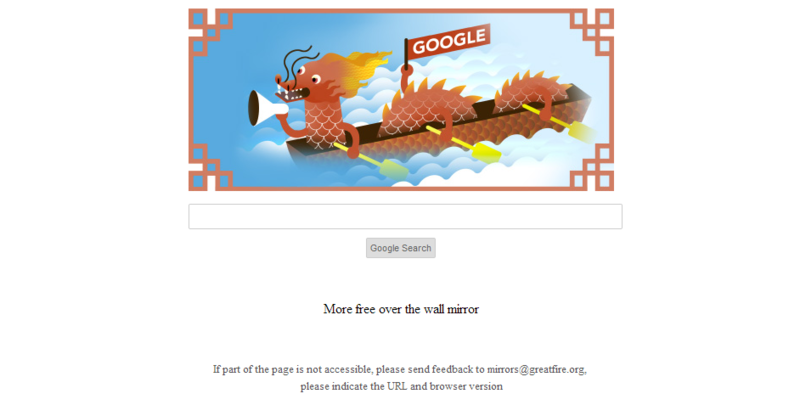 The idea behind the approach — which the organization calls ‘collateral freedom’ — is that the Chinese government would need to block Amazon’s entire hosting business in order to make the mirrored Google search page unavailable in China. GreatFire believes that the government wouldn’t take such a bold step, and that this approach can help other websites and companies that have gone dark in China become available for internet users once again. The company says that there are plenty of other hosting services that encrypt their content and could be used to host mirrors. So, were its hosting with Amazon to fail, it could turn elsewhere. GreatFire believes that its approach could easily be expanded upon by Google, which has access to a range of technologies to avoid Chinese censorship. 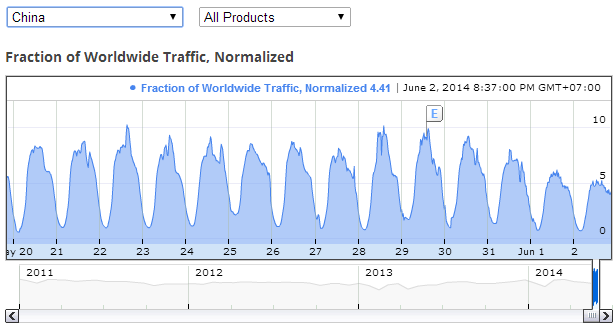 We expect that Google services will return to relative normality after June 4, though it appears that Google is happier to stay out of proceedings in the lead up to the anniversary this year. We’ll update this post with further details as we’re aware of them.